A beautiful log home in a phenomenal setting. 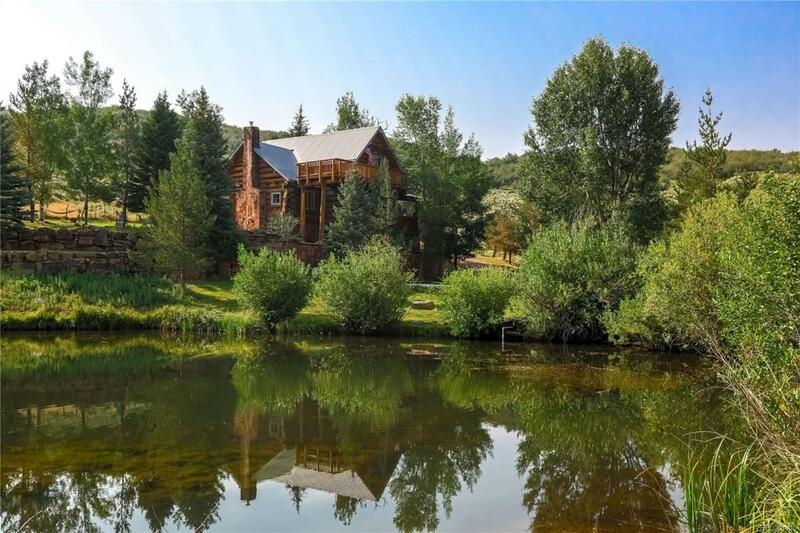 Located only 20 minutes from Meeker, this 54.86 acre property includes the main log cabin, a guest cabin, shop, stream fed ponds and fenced pastures for grazing. The main cabin features unique custom woodwork, granite countertops, reverse osmosis water system and highly efficient wood heating. The view from the master suite's balcony overlooks the lush Coal Creek valley with a stream and multiple ponds nestled in the center of the property. A self sufficient guest house is located on the north side of the stream. The 1,440 shop has concrete floors, overhead doors and an upstairs for storage or apartment potential. The acreage is fully fenced, grassy rolling hills provide nice grazing for livestock. The western portion of property has the ability to be subdivided. This property has so many income producing opportunities or simply a private retreat, your choice, come see how you would like to enjoy it!